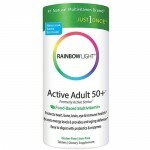 We are currently loving this super simple yet highly effective cognitive boosting product by Red Seal. Ginkgo Brain Alert is a light memory enhancing supplement that may increase mental clarity, support focus and get rid of fatigue. It’s hard to admit, but a lot of us do struggle from short-term memory loss from time to time. And no matter what the reason is, we must admit that there’s always room for improvement. Ginkgo Brain Alert is not a overnight life-changing product that will have you turning into some kind of Einstein character tomorrow. 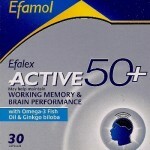 But it is one of these supplements that is nice to take everyday, to both support and protect your mental function. 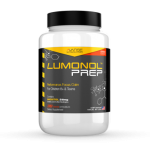 Already got your multi-vit and your pre-workout in the pantry? 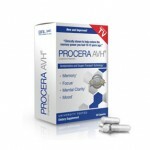 Time to get yourself a cognitive boosting supplement, and for a good price too! 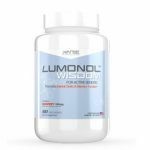 Ginkgo Brain Alert’s formula can be described in a sentence – three little ingredients that synergize well to create a perfect and convenient daily supplement. Still don’t have a clue about what these ingredients can do? We’ll take over from here. Guarana seed extract: This stuff is basically coffee. Well, it contains caffeine so it pretty much works in the same way that a caffeine supplement would. Short-term effects are usually an increase in mental energy, clarity and motivation but people may find that overtime it induces focus as well. Ginkgo Biloba: Bingo…We’ve found ourselves some ginkgo! Gingko is obviously the product’s main ingredient, as suggested by its name. 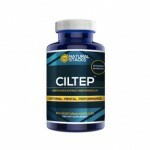 So what makes Ginkgo so special and why is it so well-known in the nootropic industry? Ginkgo Biloba is a herb with mental boosting properties that has been researched quite extensively for the past decade. Almost consistently, users feel reduced brain fog, more clarity and better focus when using Ginkgo. Although Gingko’s memory-boosting powers are nothing to boast about (especially when compared to powerful nootropics such as Noopept), some do rely on the herb to increase memory recall. Panax Ginseng: It’s highly recommended that you take Panax Ginseng whether you’d like to improve mental function or not. Panax Ginseng is a powerful tonic that has been used for thousands of years as a healer for various diseases and health complications. For instance, men can use panax ginseng to help with erectile dysfunction. This herb also contains antioxidant and anti-carcinogenic properties, which can boost your immune system and help you stay healthy. When it comes to the brain, however, panax ginseng specializes in reducing anxiety and improving focus abilities. Some have been reported having better memory recall. It’s essential to understand that you shouldn’t really be expecting much with a product like this. 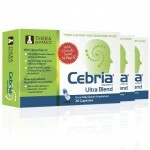 It has a simple formula (only 3 ingredients), so you should really see it as a multi-vitamin but for your brain. 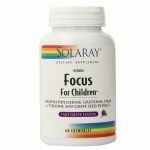 Overtime, these ingredients can protect against mental decay and even improve certain aspects of mental function such focus and anxiety. We would say that we had good results with Ginkgo Brain Alert, considering the fact that we set the right expectations. 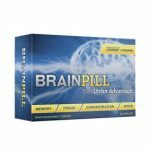 Over the course of 2 weeks, our users did not experience any surreal moments where they could recall detailed information from a conversation they had a few months back, but they were happy about the fact that they were using a cognitive-boosting supplement with beneficial ingredients on a daily basis. 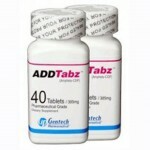 With such a simplified formula, you should not be worried about side effects at all. The ingredients are completely natural and should not cause anything adverse, although those who are super sensitive to caffeine may feel a little more hyper than usual. That’s not too bad, right? Are you ready to hear how much this product costs? Get ready to be mind-blown. A bottle of Ginkgo Brain Alert, which would last you an entire month, costs US$7.32. If you don’t think that’s extraordinarily good then check again because we’ve seen a lot of supplement companies boost their prices up to $100 a month. You are suggested to take 1 capsule a day, but some people may realize that it’s not enough, in which case you are totally welcome to take 2 capsules per day. This would mean that the bottle only lasts half a month, but you would still only be paying $14.64, which is nothing compared to some of the costly price tags we’ve seen. 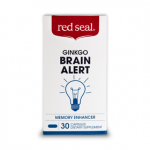 If you decide to use Gingko Brain Alert then keep in mind that you probably won’t see any significant changes. 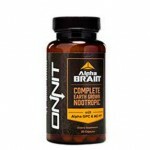 The formula is not going to work as strongly because it doesn’t contain any powerful, cutting-edge nootropics (i.e. Huperzine A, Noopept, etc. ), but it is good enough to serve as an everyday mental support supplement. Besides, the product is sold for so cheap ($7.32 a month) that there’s really no harm in placing an order. 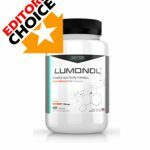 We would recommend stacking this supplement with a stronger one, such as Lumonol (our Editors’ Choice Winner) to get maximum benefits.